If you’re using Microsoft Edge as your primary browser and love to customize it as your convenience, this article is for you. Well, by default, Microsoft Edge opens new tab page with following options: Top sites and suggested content, Top sites, A blank page. So if you like to open new tab page with specified URL or website, that option is not available here (see below screenshot). In Windows 10 build 17723 or later, Microsoft has added the ability to set new tab page URL with custom website address of your choice. This ability will be quite useful for organization based websites, however end users can also take the advantage of it. 4. Finally, put any customized URL of your choice as the Value data. Make sure it follows the format: https://www.kapilarya.com. 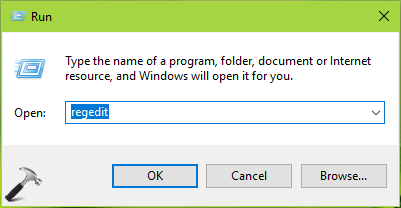 Click OK. Close Registry Editor and reboot.